Keep soap handy with this high-end soap dish. 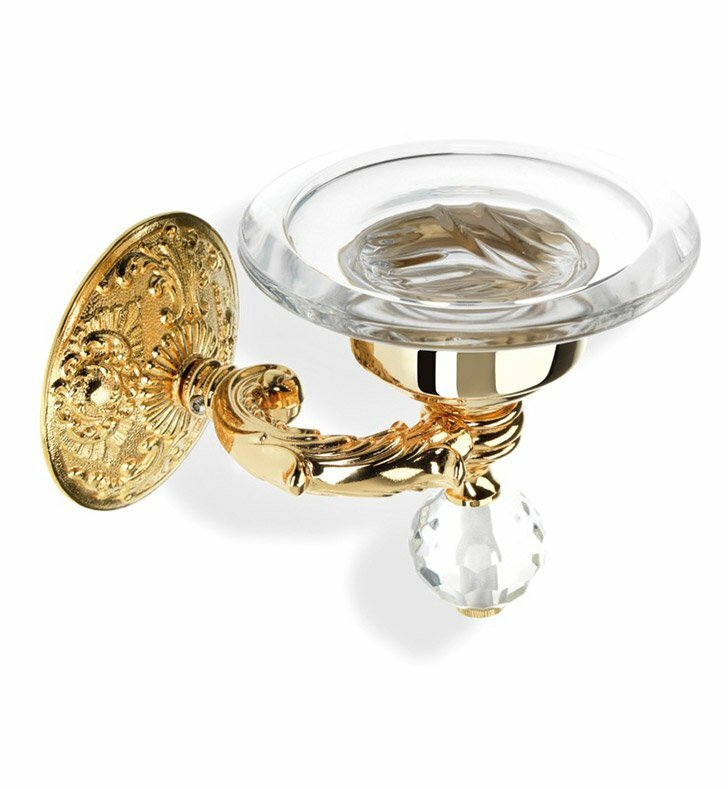 Wall mounted and available in gold or polished chrome, this high quality brass and crystal glass soap holder perfectly compliments a contemporary personal bath. Designed and made by StilHaus in Italy. From the StilHaus Noto Cristallo collection.